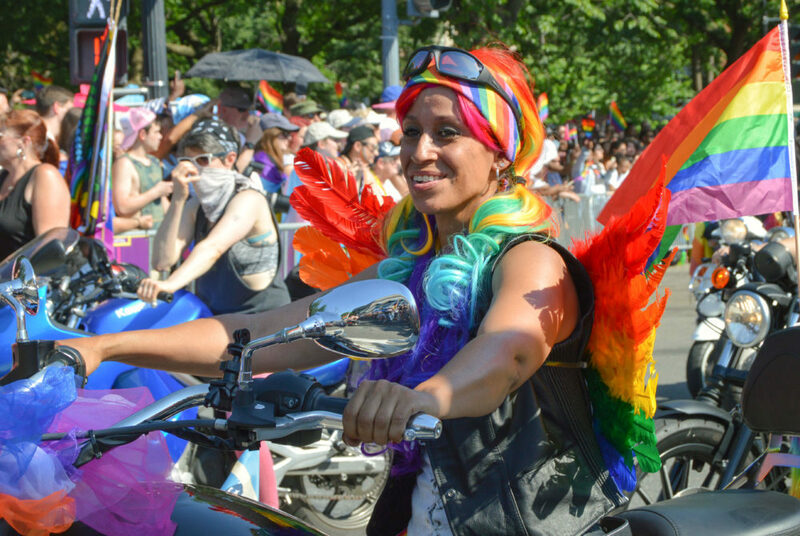 Paradegoers gathered near Dupont Circle to march in the Capital Pride Parade in support of the the LGBTQ community Saturday. 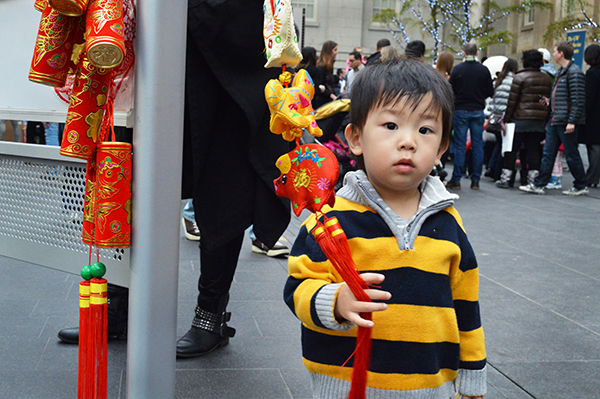 Media Credit: Kiana Robertson | Hatchet Staff Photographer Brian Liu, who will be 2 years old in March, holds onto colorful decorations at the Chinese New Year Family Festival at the Smithsonian American Art Museum on Saturday. Media Credit: Kiana Robertson | Hatchet Staff Photographer The Washington Harbor Ice Skating Rink in Georgetown opened this week to the public and will be open daily through February. 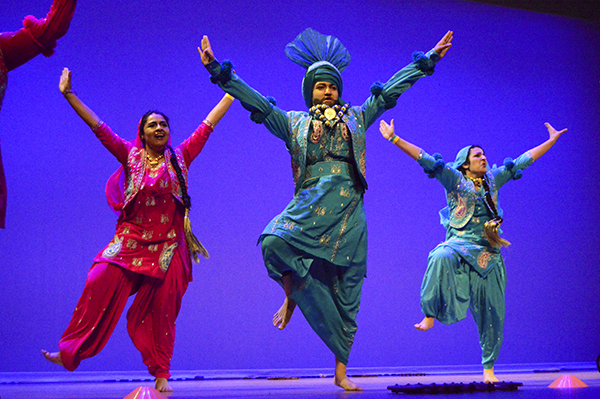 Media Credit: Kiana Robertson | Hatchet Staff Photographer Ranjit Bhangu, Kavita Oza and Kajal Bhatia, members of the GW Bhangra team, perform during the opening of the 22nd annual Bhangra Blowout, an international dance competition, in Lisner Auditorium. Updated: March 2, 2015 at 2:58 p.m. Media Credit: Kiana Robertson | Hatchet Photographer Comfy Tree, an entrepreneurial marijuana education venture, held its Cannabis Academy conference over the weekend. 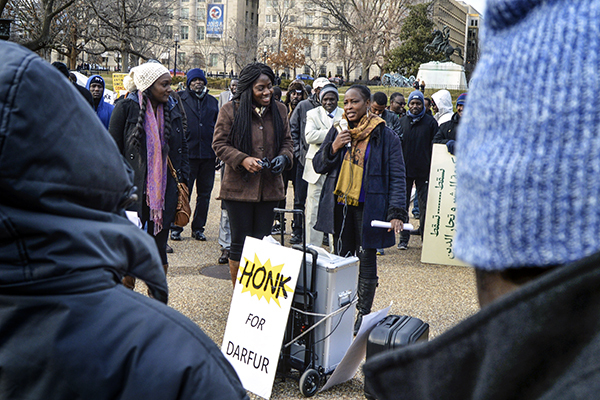 The event focused on bringing together local cannabis entrepreneurs in a workshop atmosphere. 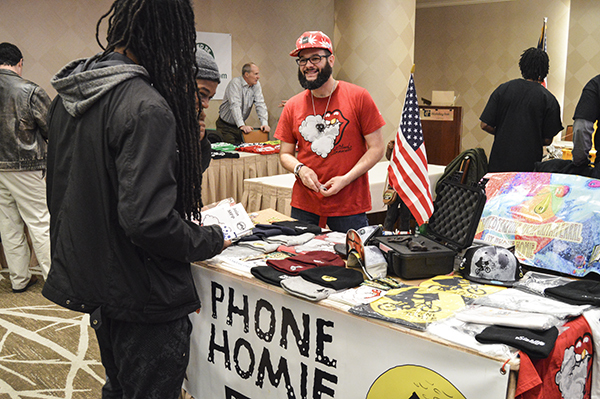 Above, Rico Valderrama promotes his clothing company, Phone Homie, to two conference attendees. 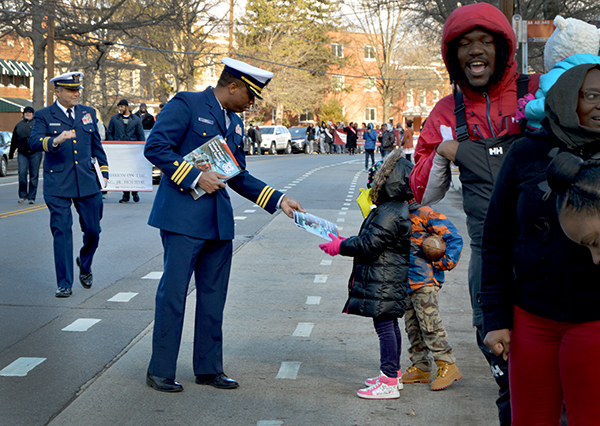 Media Credit: Kiana Robertson | Hatchet Photographer A Coast Guardsman shares information with families at the Martin Luther King Jr. Day Parade and Peace Walk in Southeast D.C. Community organizations, schools and local campaigns also participated in the event. 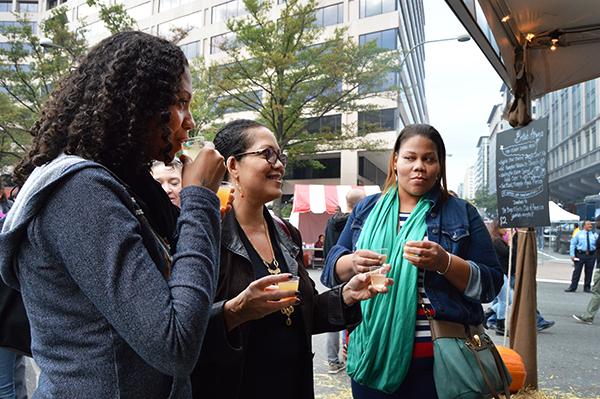 Media Credit: Kiana Robertson | Hatchet Photographer Alayna Santiago, Sheryl Santiago and Chlone Gould (left to right) drink apple cider at Taste of DC, a festival that hosts a variety of attractions, vendors and food trucks. 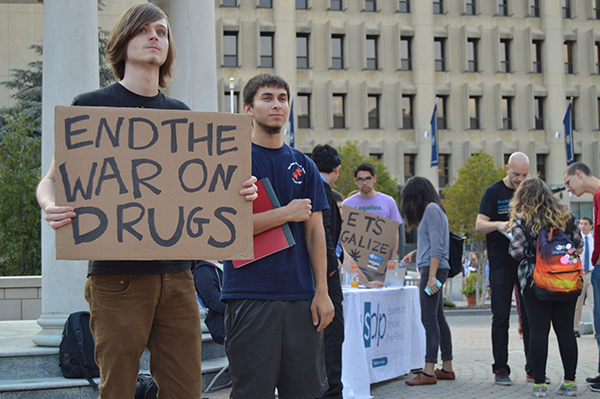 Media Credit: Kiana Robertson | Hatchet Photographer GW freshmen Harry Zumwalt and Patrick Nahhas protested with Students for Sensible Drug Policy in Kogan Plaza last week, advocating for the legalization of marijuana and drug regulation reform.